Scientists say light pollution and global warming may be to blame for declining insect population. OXFORD, Pa.— A staple of summer — swarms of bugs — seems to be a thing of the past. And that's got scientists worried. Still, there are signs of decline. Research has shown dwindling individual species in specific places, including lightning bugs, moths and bumblebees. 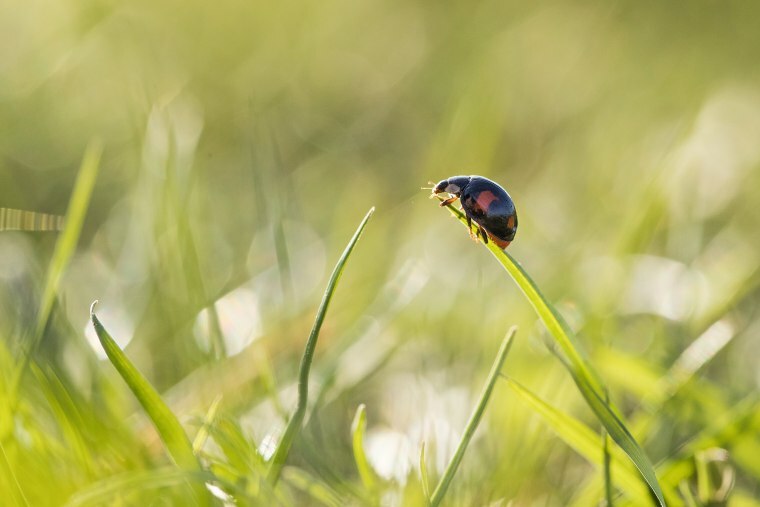 One study estimated a 14 percent decline in ladybugs in the United States and Canada from 1987 to 2006. University of Florida urban entomologist Philip Koehler said he's seen a recent decrease in lovebugs — insects that fly connected and coated Florida's windshields in the 1970s and 1980s. This year, he said, "was kind of disappointing, I thought." Last year, a study that found an 82 percent mid-summer decline in the number and weight of bugs captured in traps in 63 nature preserves in Germany compared with 27 years earlier. It was one of the few, if only, broad studies. Scientists say similar comparisons can't be done elsewhere, because similar bug counts weren't done decades ago.